← Rightline Gear Car Clips – Proper Fit? Will Rightline Gear Truck Tents Fit The Dodge Dakota? When purchasing a Rightline Gear Truck Tent, be sure to check the Truck Tent Sizing Guide to see which tent is right for your truck. You may notice that the Dodge Dakota is missing from this guide. We hope that this blog can save you time as you consider the options for your truck. Rightline Gear Truck Tents are no longer available for the Dodge Dakota. In August of 2011, the last Dodge Dakota rolled off the assembly line at Warren Truck Assembly plant in Michigan. Two plus years later, in January 2014, we introduced a new model truck tent, and because the Dakota was no longer available, we chose not to consider its bed size in designing the new tent. Why was the Dakota left out? Unlike conventional ground tents, a truck tent must fit onto a rigid structure, thus its dimensions are much more important. We must be concerned about matching up a truck tent to the width, length and height of the truck bed and the width, length and thickness of the tailgate. 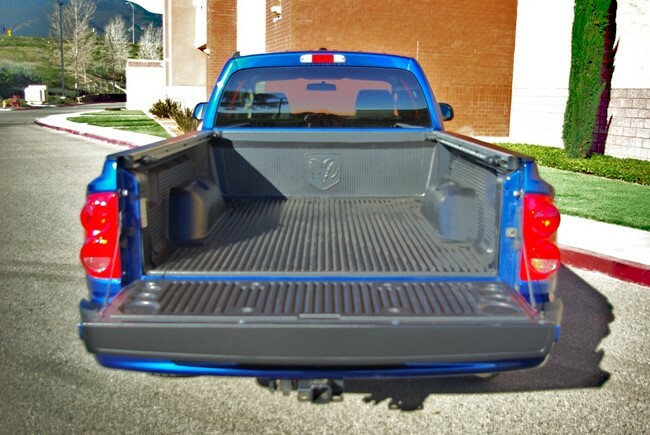 Because this larger difference in bed length was present on a discontinued model truck, we chose not to accommodate the Dakota in the new model. Rather, we wanted our Mid Size Long Bed and Mid Size Short Bed Truck Tents to better fit the Toyota and Nissan trucks. So am I completely out of luck if I own a Dakota? The answer is maybe not. You may be able to find one of our previous model tents that did fit the Dodge Dakota, on sites such as Ebay or Craigslist. If you have a Dodge Dakota Crew Cab with the short bed, keep your eyes peeled for a 110865 CampRight Mid Size Short Bed Truck Tent (5.25′). If you have a Dodge Dakota with the regular or extended cab and the long bed, look for a 110860 CampRight Mid Size Truck Tent (6.4′) . You can recognize these tents by their gray and red or gray and black coloring. This entry was posted in Truck Tent Tips. Bookmark the permalink.